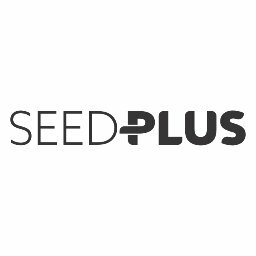 SeedPlus, a seed stage venture fund based in Singapore, received a $2m equity investment from IFC, a member of the World Bank Group. Launched by Jungle Ventures, a Singapore-based venture capital firm, in collaboration with SGInnovate, Accel Partners (India) and Ratan Tata’s RNT Associates, among others, and supported by Google and PwC Singapore, SeedPlus is focused on investing in Asian startups having the ability to expand on a global scale across software-as-a-service (SaaS), mobile, financial technology, artificial intelligence and cyber security and other emerging technology areas. – Mimetic.ai, a Singaporean technology startup responsible for creating Evie, an artificial intelligence (AI) scheduling assistant. The investment by IFC, which will help SeedPlus support up to 20 startups, was made within the framework of the IFC Startup Catalyst program (ISC), which supports entrepreneurs and early stage companies through investments in various seed stage structures. IFC has previously committed $10m to Jungle Ventures’ second fund, along with a $10m co-investment vehicle, which will invest in early stage technology companies in emerging markets of Southeast Asia.